Have you ever wondered what daylight saving time could do to you and your body? 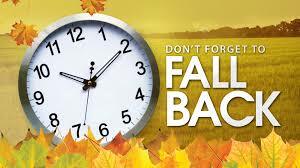 Daylight savings time is ending this Sunday. It is when the sun goes down earlier and the days at the end of the year are shorter. Set the alarm clock one hour back. While this means one more hour of sleep, it can surprisingly take a toll on health. An hour of sleep can be welcoming for many people, but it can disrupt sleeping patterns which put a strain on the body. Change in sleeping schedule can throw off the body’s internal clock, or circadian rhythm. Sleep is an important health factor that needs to be consistent. In the winter months, people spend more waking hours in the dark, which can lead to an increasing risk of developing seasonal affective disorder, or SAD. It is more than just the winter blues; it’s a form of depression that can be difficult to deal with in the winter months and that needs to be watched out for. Symptoms of SAD include fatigue, sleep difficulty or excessive sleeping, weight gain, feelings of hopelessness or despair, and thoughts of suicide. Though the change is coming soon, one way to help acclimate is to get on a good sleep schedule before the time change. “Try to start out having good sleep habits and get enough rest so your body can acclimate better,” Dr. Friedlander stated. Wait . . . We have to do service hours?! Dear Staconians, the correct term for DST is Daylight Saving Time,not Daylight Savings Time, as stated by timeanddate.com. Thank you, and have a nice day. Speaking of time, every date and time in the Cougar Chronicle is in UTC time. When DST isn’t in use, subtract 8 hours to find the right time. When DST is in use, subtract 7 hours to get the right time.